Where do you stand politically on anything in 2017? Judging from the first days, no one knows for sure, not even the professional pols. If you’ve been following what a Trump World would be like, we all got a taste of how chaotic politics will be as we witnessed the quick about-face of Republicans who had secretly voted to dump the Office of Congressional Ethics (OCE). Office of Congressional Ethics? That’s no oxymoron. It’s a real thing. But the OCE has not always been used in the public interest. To begin with, it’s somewhat redundant, as all its work is referred to the House Ethics Committee, which ultimately decides. The problem has been that the independent investigations are often launched on something as flimsy as an anonymous tip or by outside advocacy groups. The investigations can also lead to a political misuse of the office’s work, say, allowing for an opponent of a House member being investigated to hammer and cast aspersions against said member in the media during the investigation. It can even be used to end a political career. So you can see why House Republicans wanted to dump the independent office. It was all about self-preservation. The OCE has destroyed Republicans and Democrats alike. 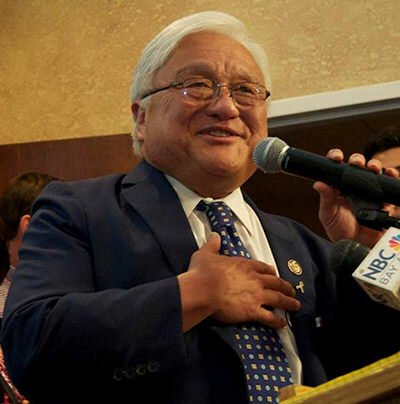 Just ask Mike Honda, the former congressman representing California’s Silicon Valley, and the emeritus leader of the Congressional Asian Pacific American Caucus. When I first heard the news Monday night after the vote, I thought of Honda immediately. After 16 years, Honda isn’t part of the 115th Congress, in part because of complaints filed by two local California politicians who supported Honda’s political rival, Ro Khanna. Khanna defeated Honda in November in a veritable landslide. But the catalyst in Honda’s defeat was the OCE investigation that looked into whether Honda unethically targeted South Asian donors. The investigation looked worse than it was in a case that was more about bad optics than anything else. It wasn’t conclusively a pay-to-play scheme, but it was still sent up to the House Committee. Mind you, the OCE was founded after three congressman were busted for, among other things, bribery and racketeering. The most famous case involved former Louisiana congressman William Jefferson, who hid $90,000 in cash in his freezer. He was convicted in August of 2009 and sentenced to 13 years for taking nearly $500,000 in bribes in exchange for brokering business deals in Africa. Nothing Honda did approached anything close to the Jefferson case. Honda staffers may have been sloppy in emails discussing their list of South Asian donors. It was hardly the kind of malfeasance that birthed the OCE. But it sure helped Honda’s political opponent. “They used that issue of ethics as if I were unethical and as if I broke a law,” Honda told me when I called him. The print media sensationalized the story without putting it into context. And Honda said he was forced to use $300,000 to defend his staffers with legal costs. And now the House committee that has the OCE’s report is likely to do nothing further. With Republicans in control of everything, that’s not likely to happen. In fact, in the time since I talked to Honda, the news of the secret dumping of the OCE created a backlash no one expected. And Washington got a sense of outrage at its own self-inflicted act. Ethics? It suddenly brought every politico together in what could be the only thing they can all agree to in the next four years. Dumping an ethics office as the first act of a new congress just doesn’t look good for anyone in the undrained swamp. By late Tuesday morning, the Republican rank-and-file that voted to gut the OCE backed down, following criticism from Republican leadership, Democratic leadership, and angry constituent calls. There were even a few choice words from the Tweeter-in-Chief, President-elect Trump. Considering the $25 million Trump paid to settle his Trump University fraud case, I guess The Donald knows first-hand what ethics isn’t. But this quick reversal on ethics is just the new politics under Trump. It’s like new dance partners trying to figure out the beat and how the new politics looks and sounds. Expect more of it in 2017, where everything is GOP, Democrats are lower than low, and Trump is the “X” factor. If you’re an Asian American advocate, Honda has this advice on dealing with the Trump years ahead. That’s Mike Honda. Thanks to politicization of the OCE, he won’t be in the 115th Congress. But he remains a national voice for Asian Americans, ready for the fight ahead.